Below are some tips that answer some of the most frequently asked questions we hear. If we’ve missed one or you need further information, please feel free to contact us so we can help! How can I figure out how big of a storage unit I need? Use our handy storage size guide! Do you carry storage supplies? Yes, each of our facilities has ample supply of boxes of all sizes, bubble wrap, tape, moving pads, trucks, etc. Call us or contact us via email for more information. Yes – our customer login portal can be found in the top right corner of every page to login to your account, or create an account to pay your bills. Any advice on how to pack my things up? USE THESE TIPS TO PACK YOUR ITEMS SAFELY. Get lots of boxes, packing paper, bubble wrap, sealing tape and markers, as well as any furniture covers you may need. Wrap furniture legs with bubble wrap or pads to prevent scratching. Leave slipcovers on any upholstered furniture and cover them with plastic covers. Use tape or rope to tie bedrails together. Label the pieces to make assembly easier later. Cover mattresses with plastic bags to keep them clean during storage. Label boxes on all sides. Keep a list (as well as pictures and descriptions) for reference. Clearly mark all boxes that are fragile. Make sure anything fragile is placed on top of heavier boxes. Use the space inside dresser drawers and larger appliances to store small items like towels, sheets, and small items. Secure items in drawers with towels or packing paper. Pack as much as possible in same size boxes. Fill boxes tightly, but don’t over pack or under pack. Use newspaper, bubble wrap, rags, towels, or even paper towel to fill in empty spaces. Seal boxes with tape for protection. Heavy items like books and tools should be packed in small boxes. Keep the weight of all boxes to 30 pounds or less, no matter the size of the box. Make sure to clean and dry any appliance before storing. 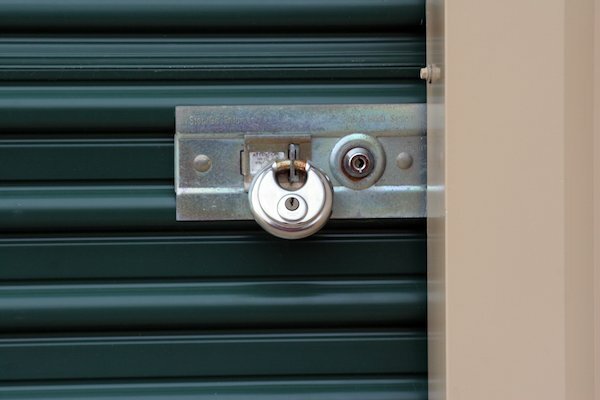 Tape all doors shut while transporting appliances, but keep them open a bit during storage. Books should be packed flat to protect their spines. Use plastic cartons lined with plastic and fill empty spaces with paper. Use lots of newspaper, paper towel, or packing paper to pack dishes. Make sure to put a layer of paper on the bottom of the box or carton, as well as on the top. Each dish and glass should be wrapped separately and cushion them with more paper. Use wardrobe boxes to hang clothes and draperies. Lamps and Lampshades should be packed in individual boxes. Use lots of paper for cushioning. Mirrors and paintings should be padded with lots of paper. Pack them in special mirror packs or large boxes. Remember to label the boxes as “fragile”.